Mirriam Masambo (14) is tiny for her 14 years of age. Intelligence beyond her years is apparent in her speech and she loves school – a detail made evident by the fact that it takes her almost an hour to walk to there… and that’s just one-way! She’d like to become a nurse one day. She won’t wear the traditional nyanda, but instead wears 3 pairs of underwear over each other, a pair of boxer shorts over that and an additional jersey around her waist to reduce worrying about any staining, and the issues that comes with that. 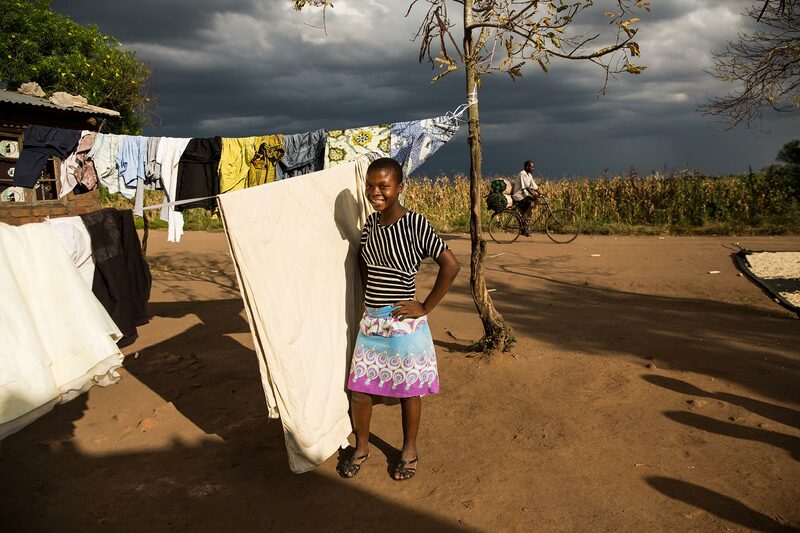 She tries as hard as possible to go to school but on the worst day of her period she’ll stay home. This is often the second day. She says staying home is “SO boring,” as she rolls her eyes. “I end up having to do chores all the time. Do this, do that….all the time!”. She isn’t teased too much and puts this down to good advise from her mother and education on the subject.